The Concordat of 1801 was an agreement between France – as represented by Napoleon Bonaparte – and both the church in France and the Papacy over the position of the Roman Catholic Church in France. This first sentence is a little bit false because while the concordat was officially a religious settlement on behalf of the French nation, Napoleon and the aims of the future French empire were so massively central to it, it's basically Napoleon and the Papacy. An agreement was needed because the increasingly radical French Revolution stripped away the old rights and privileges the church had enjoyed, seized much of its land and sold it on to secular landholders, and at one point seemed on the verge, under Robespierre and the Committee of Public Safety, of starting a new religion. By the time Napoleon took power the schism between the church and state was much reduced and a Catholic revival had taken place across much of France. This had led some to play down the achievement of the Concordat, but it's important to remember that the French Revolution had torn religion in France apart, and whether there was a Napoleon or not someone had to try and bring the situation to peace. There was still an official disagreement, between the remainder of the church, especially the Papacy, and the state and Napoleon believed some agreement was necessary to help bring settlement to France (and to boost his own status). A friendly Catholic Church could enforce belief in Napoleon, and spell out what Napoleon thought were the right ways to live in Imperial France, but only if Napoleon could come to terms. Equally, a broken church undermined peace, caused great tensions between the traditional piety of rural areas and anti-clerical towns, fueled royal and counter-revolutionary ideas. As Catholicism was linked to royalty and monarchy, Napoleon wished to link it to his royalty and monarchy. Napoleon’s decision to come to terms was thus entirely pragmatic but welcomed by many. Just because Napoleon was doing it for his own gain doesn't mean a Concordat wasn't needed, just that the one they got was a certain way. This agreement was the Concordat of 1801, although it was officially promulgated at Easter 1802 after going through twenty-one re-writes. 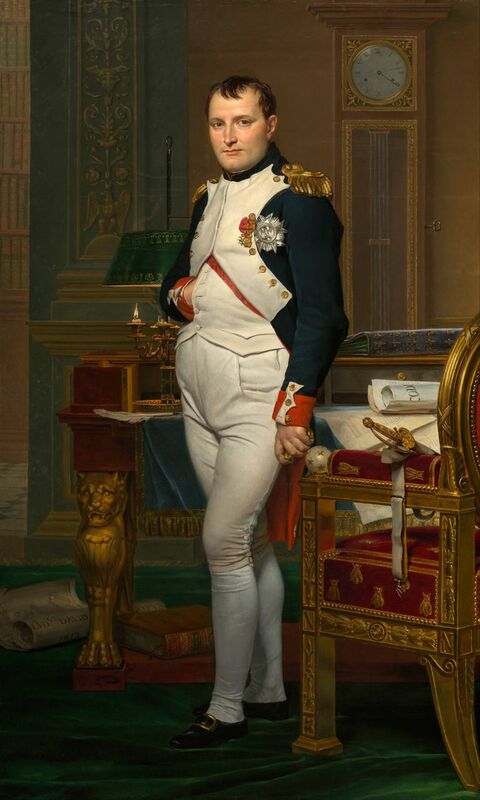 Napoleon also had it delayed so he could first secure peace militarily, hoping a grateful nation would not be disturbed by Jacobin enemies of the agreement. The Pope agreed to accept the seizure of church property, and France agreed to give bishops and other church figures wages from the state, ending the separation of the two. The First Consul (which meant Napoleon himself) was given the power to nominate bishops, the map of church geography was rewritten with altered parishes and bishoprics. Seminaries were again legal. Napoleon also added the ‘Organic Articles’ which controlled Papal control over bishops, favoring government wishes and upsetting the Pope. Other religions were allowed. In effect, the Papacy had endorsed Napoleon. The peace between Napoleon and the Pope fractured in 1806 when Napoleon introduced a new ‘imperial’ catechism. These were sets of questions and answers designed to educate people about the Catholic religion, but Napoleon’s versions educated and indoctrinated people in the ideas of his empire. Napoleon’s relationship with the church also remained frosty, especially after he gave himself his own Saint’s Day on August 16th. The Pope even excommunicated Napoleon, who responded by arresting the Pope. Yet the Concordat remained intact, and though it wasn’t perfect, with some regions proving slow Napoleon tried to take more power from the church in 1813 when the Concordat of Fontainebleau was forced on the pope, but this was quickly rejected. Napoleon brought a form of religious peace to France that the revolutionary leaders had found beyond their reach.